All-Ireland SFC Qualifying round 2A, (2.30pm), Owenbeg: Derry v Meath, (5pm), Kingspan Breffni Park: Cavan v Carlow; All-Ireland SFC Qualifying round 2B, (3pm), Thurles: Limerick v Cork, (3.30pm), Castlebar: Mayo v Fermanagh, (6.30pm), Clones: Monaghan v Longford, Newbridge: Kildare v Offaly; All-Ireland SHC Qualifying round two, (5pm), Thurles: Cork v Wexford, (7pm), Thurles: Clare v Limerick. Sunday, July 10, Ulster SHC final, (3.30pm), Owenbeg: Antrim v Armagh; Munster SHC final, (4pm), Limerick: Tipperary v Waterford; Connacht SFC final, (2pm), Pearse Stadium: Galway v Roscommon; All-Ireland SFC Qualifying round 2A, (2pm), Ennis: Clare v Laois. Tonight, Senior Hurling Tain Club League Division One, (7.45pm): Lisbellaw v Middletown (J Connors, Donegal). 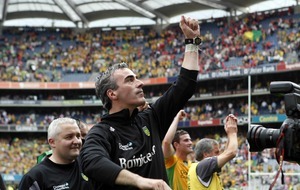 Sunday, July, MHC final, (1.30pm), Owenbeg: Antrim v Down (J Connors, Donegal). Tonight, ACHL Division Three, (7.30pm): Sarsfield’s v Armoy (T McGilligan); MFL Division One, (7.30pm): Glenavy v Sean Stinson’s (F McCotter), O’Donovan Rossa v Dunloy (B Toland), Cargin v Aghagallon (S Laverty), St Gall’s v St Brigid’s (B Coyle), St Enda’s v Creggan (P Hughes); MFL Division Two, (7.30pm): O’Donnell’s v Moneyglass (C McDermott), Gort na Mona v Antrim (E Hamill), St Teresas: Belfast Saffrons v Aldergrove (C Campbell), Lamh Dhearg v Glenravel (K Parke), Sarsfield’s: Setanta v Clan na Gael (T Rice). Tomorrow, B JHC, (7.30pm): Ballymena v Davitt’s (P Hughes); ACFL Division One, (7pm): Aldergrove v Portglenone (B Toland), (8.15pm): Lamh Dhearg v O’Donovan Rossa (C McKnight), ACRFL Division One, (7.30pm): Lamh Dhearg v O’Donovan Rossa (C McDermott); ACRFL Division Two, (5.30pm): Gort na Mona v Con Magee’s (M McDonald); ACHL Division Three, (7.30pm): Rasharkin v St Paul’s (C McNeill), Cushendun v Randalstown (V Boyle), Ballinascreen v Bredagh (C Mullan), (8pm): St Enda’s v Dungannon (R O’Reilly). Thursday, July 7, ACHL Division Two, (7.30pm): Creggan v St Gall’s (V Boyle). Friday, July 8, ACFL Division One, (8.15pm): Portglenone v Cargin (J O’Donnell); ACFL Division Two, (7.30pm): Glenavy v Dunloy (C Hemsworth), Falls Park: Davitt’s v Gort na Mona (C McDonald), (8.15pm): Rasharkin v St Paul’s (V Boyle); ACRFL Division Two, (7pm): Rasharkin v Glenravel (B McCartan); MHL Division One, (7.30pm): Ballinascreen v St Enda’s (F Traynor); MHL Division Two, (7.30pm): Randalstown v Lamh Dhearg, Lavey v Swatragh (C Mullan). Saturday, July 9, ACRHL Division One, (6pm): Portaferry v Ballycastle (H Torney). Sunday, July 10, ACFL Division One, (7pm): St John’s v Ballymena, O’Donovan Rossa v Creggan, Lamh Dhearg v Ahoghill, Cargin v St Brigid’s, St Gall’s v St Teresas; ACFL Division Two, (3pm): Moneyglass v Gort na Mona, Randalstown v Davitt’s, Sarsfield’s v St Enda’s, Aghagallon v Glenravel; ACFL Division Three, (7pm), Boucher Road: Eire Og v O’Donnell’s, Pearse’s v Ballycastle, Lisburn v St Agnes’, St Malachy’s v Ardoyne, Antrim v Mitchel’s; ACHL Division Two, (2pm): Glenariff v Carey. Monday, July 11, MHL Division One, (5.30pm): Ballinascreen v Ballycastle. Tonight, Thomas Devlin Motor Sales U14 FL Section Two, (6.45pm): Rasharkin v Creggan; Thomas Devlin Motor Sales U12 FL Section Two, (7.30pm): Rasharkin v Creggan. Thursday July 7, Ciaran Doherty & Co Accountants U16 FL Section One, (7.30pm): Ballymena v Dunloy, St Enda’s v Aghagallon, Aldergrove v Cargin, Sean Stinson’s v Glenravel; Ciaran Doherty & Co Accountants U16 FL Section Two, (7.30pm): Rasharkin v Glenavy, Randalstown v Moneyglass, Creggan v Antrim. Friday July 8, Thomas Devlin Motor Sales U14 FL Section One, (6.45pm): Aghagallon v Dunloy, Sean Stinson’s v Aldergrove, St Enda’s v Ballymena; Thomas Devlin Motor Sales U14 FL Section Two, (6.45pm): Randalstown v Lisburn, Antrim v Moneyglass; Thomas Devlin Motor Sales U12 FL Section One, (7.30pm): Aghagallon v Dunloy, Sean Stinson’s v Aldergrove, St Enda’s v Ballymena; Thomas Devlin Motor Sales U12 FL Section Two, (7.30pm): Randalstown v Lisburn, Antrim v Moneyglass. Tonight, SFL A, (8pm): Madden v Clann Eireann (G Devlin). Tomorrow, JFL, (8pm): Killeavy v Crossmaglen (M Loftus); RFC, (8pm): Maghery v St Peter’s (R McKinstry), Armagh Harps v Sarsfield’s (K Conlon); RFL North, (7.30pm): Clann Eireann v Ballyhegan (G Marshall), Wolfe Tone’s v Annaghmore (S O’Neill), St Paul’s v Eire Og (K Smith); RFL South, (7.30pm): Mullaghbawn v Carrickcruppen, Ballymacnab v Silverbridge (G Devlin), Culloville v Derrynoose (B Canavan), Carrickcruppen v Madden (O Hearty). Thursday, July 7, IFL A, (8pm): Killeavy v Silverbridge (P Hughes). Friday, July 8, SFL A, (8pm): Pearse Og v Maghery (P Hughes), Ballymacnab v Crossmaglen (K Smith), Cullyhanna v Sarsfield’s (K Faloon), Armagh Harps v Wolfe Tone’s (O Hearty), Clann Eireann v Grange (T O’Hare), Granemore v Forkhill (L Reynolds); IFL A, (8pm): Whitecross v St Peter’s (P Conway), St Paul’s v Culloville (R Watters), Carrickcruppen v Mullaghbawn (G Marshall); IFL B (8pm ): Derrynoose v Clan na Gael, Corrinshego v Shane O’Neill’s (J Burns), Eire Og v An Port Mor (S Murray), Tullysaran v Middletown; JFL A (8pm): Ballyhegan v Lissummon (R McKinstry), Clonmore v Cullyhanna (P Boylan), Collegeland v Dorsey (S ONeill); JFL B (8pm): Killeavy v Newtownhamilton (P ONeill), Clady v Belleek (C Lennon), Crossmaglen v Pearse Og (D Sheilds). 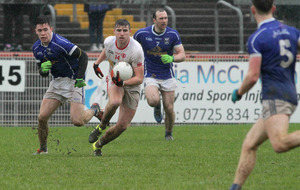 Sunday July 10, SFL A, (2pm): Dromintee v Madden (S Murray). Tonight, Simply Fruit U14 FL Division One, (7.30pm): Clann Eireann v Tullysaran (T Toland), Killeavy v Carrickcruppen (D Shields), Silverbridge Harps v Armagh Harps (K Gallogly); Simply Fruit U14 FL Division Two, (7.30pm): Dromintee v Pearse Og (K O’Neill), O Doirnin Blues v Tir na nOg (J Magill), Madden v St Paul’s (P Conway), Brian Boru v Maghery, Cullyhanna v St Malachy’s (A Rice); Simply Fruit U14 FL Division Three, (7.30pm): St Peter’s v Granemore (C Lennon), Naomh Eoin v Wolfe Tone’s, St Enda’s v Eire Og (D Crawford), Keady v Loughgilly Gaels (P O’Neill). Wednesday, July 6, U10 Go Games Mid One, (6.30pm): Pearse Og v Granemore, Derrynoose v Madden, Middletown v An Port Mor; U10 Go Games Mid Two, (6.30pm): Naomh Eoin v Ballymacnab, Keady v Tullysaran, Poyntzpass v Phelim Brady’s; U10 Go Games South One, (6.30pm): Crossmaglen v Killeavy, Silverbridge v Culloville, Dromintee v Forkhill, Cullyhanna v Mullaghbawn; U10 Go Games South Two, (6.30pm): Newtownhamilton v Corrinshego, Lissummon v Clady, Whitecross v Belleek, Shane O’Neill’s v Carrickcruppen. Thursday, July 7, Simply Fruit U16 FL Division One, (7.30pm): Clan na Gael v Killeavy (K Smith), Dromintee v Pearse Og (K Faloon), Armagh Harps v Tir na nOg (T OHare), Silverbridge v Carrickcruppen (B Canavan), Clann Eireann v Crossmaglen (R McKinstry); Simply Fruit U16 FL Division Two, (7.30pm): Granemore v Loughgilly Gaels (K Conlon), Cullyhanna v Madden, Brian Boru v Grange (R Robinson), O Doirnin Blues v Mullaghbawn (J Burns), Keady v St Peter’s; Simply Fruit U16 FL Division Three, (7.30pm): Naomh Eoin v Sarsfield’s, St Paul’s v Eire Og (J Haughan), St Enda’s v Ballyhegan, Middletown v Maghery, St Malachy’s v Derrynoose. Friday, July 8, U14 FL Division One, (7.30pm): Armagh Harps v Clann Eireann (P Duffy). Saturday July 9, U8 Go Games Group E (11am): Carrickcruppen v Dromintee, Shane O’Neills v Culloville, Mullaghbawn v Killeavy. Tonight, The Old Thatch Inn U14A FL, (7.15pm): Lavey v Bellaghy, Ballinderry v Ballinascreen, Dungiven v Glen; The Old Thatch Inn U14B FL, (7.15pm): Kilrea v Desertmartin, Coleraine v Glenullin, Newbridge v Craigbane, Doire Trasna v Swatragh, Steelstown v Doire Colmcille, Limavady v St Colm’s, Banagher, Claudy v Loup. H&A Mechanical Services ACFL Division Three, (7.30pm): Sean Dolan’s v Glack; The Old Thatch Inn U16A FL, (7.15pm): Swatragh v Lavey, Glen v Magherafelt, Faughanvale v Limavady, Dungiven v Steelstown, Ballinascreen v Newbridge; The Old Thatch Inn U16B FL, (7.15pm): Kilrea v Drumsurn, Glenullin v Slaughtneil, Craigbane v Greenlough, Claudy v Coleraine, Ballinderry v Loup; The Old Thatch Inn U16C FL, (7.15pm): Castledawson v Slaughtmanus, Desertmartin v Ballerin, Moneymore v Foreglen, Ballinascreen ‘C’ v Ardmore, Doire Colmcille v St Colm’s, Banagher. Tomorrow, SHL, (7.45pm): Banagher v Carrickmore; H&A Mechanical Services ACFL Division One, (7.30pm): Swatragh v Ballinderry; H&A Mechanical Services ACRFL Division One, (8.45pm): Swatragh v Ballinderry. Thursday July 7, H&A Mechanical Services ACFL Division One, (7.15pm): Slaughtneil v Greenlough, (7.30pm): Claudy v Ballinascreen, (8pm): Desertmartin v Ballerin, (8.30pm): Slaughtneil v Greenlough. Friday July 8, H&A Mechanical Services ACFL Division One, (7.30pm): Loup v Glen, Bellaghy v Kilrea, Magherafelt v Banagher, Coleraine v Lavey, Dungiven v Newbridge; H&A Mechanical Services ACRFL Division One, (9pm): Loup v Glen; H&A Mechanical Services ACFL Division Two, (7.30pm): Slaughtmanus v Foreglen, Ballymaguigan v Faughanvale, Moneymore v Castledawson, Lissan v Dore Trasna, Steelstown v Drumsurn, Glenullin v Craigbane; H&A Mechanical Services ACFL Division Three, (7.30pm): Magherafelt III v Ardmore, Drum v Doire Colmcille, Ogra Colmcille v Limavady, Slaughtneil III v Magilligan. Sunday July 10, H&A Mechanical Services ACRFL Division One, (2pm): Claudy v Ballinascreen, Bellaghy v Kilrea, Magherafelt v Banagher, Coleraine v Lavey, Dungiven v Newbridge; H&A Mechanical Services ACRFL Division Two, (2pm): Slaughtmanus v Foreglen, Ballymaguigan v Faughanvale, Desertmartin v Ballerin. Tonight, South Down MFL Top Four, (7.30pm): Longstone v Saval, Ballyholland v Glenn; South Down MFL Bottom Six, (7.30pm): St Patrick’s v St John Bosco, Eire Og v An Riocht, Clann na nGael v Drumgath; ACFL Division One (7.30pm): Bryansford v Castlewellan, ACPRFL Division One, (7.30pm): Rostrevor v Warrenpoint; ACMFL (7.30pm): Liatroim v Warrenpoint, Burren v Saul, Clonduff v Mayobridge, East Down MFL Section A (13-a-side), (7.30pm): Bredagh v Loughinisland, Kilcoo v Darragh Cross, Downpatrick v Bright, St Paul’s v Castlewellan; East Down MFL Section B (11-a-side), (7.30pm): Kilclief v Drumaness, Dromara v Teconnaught, Ardglass v Dundrum. Tomorrow, South Down U14 FL Division Two Bottom Five, (7.30pm): Rostrevor v Burren; ACPRFL Division One, (7.30pm): Mayobridge v Castlewellan, Burren v Bredagh; ACMHL, (7.30pm): Ballycran v Shamrocks, Bredagh v Warrenpoint, Liatroim v Ballygalget, Carryduff v Portaferry; East Down U14 FL Section C (11-a-side), (7.30pm): Kilclief v Ardglass; South Down U16 FL Division One (13-a-side), (7.30pm): Atticall v Shamrocks; East Down U12 FL Section B (11-a-side), (7.30pm): Carryduff v St John’s. 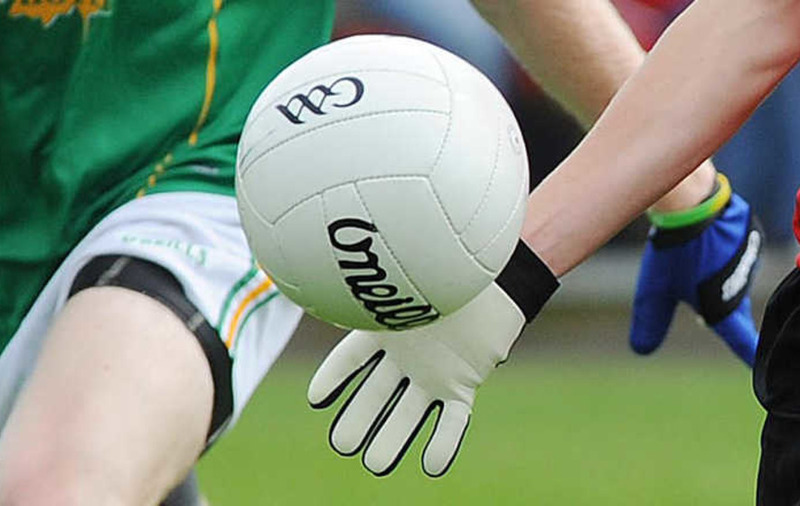 Thursday July 7, ACFL Division One (7.30pm): Burren v Warrenpoint, Clonduff v Ballymartin; ACFL Division Two, (7.30pm): Rostrevor v Liatroim; ACFL Division Three, (7.30pm): Glasdrumman v Shamrocks; ACMFL (7.30pm): Mayobridge v Warrenpoint; U16 ACFL, (7.30pm): Bryansford v Downpatrick, Ballyholland v Kilcoo; East Down U16 FC Section A, (7.30pm): Liatroim v Aughlisnafin, Castlewellan v Darragh Cross, Saul v Rosconnor Gaels; East Down U16 FC Section B Group One, (7.30pm): Bright v Drumaness, Carryduff v Dundrum; East Down U16 FC Section B Group Two, (7.30pm): St John’s v Kilclief, St Paul’s v Dromara; South Down U16 FL Division Two (13-a-side), (7.30pm): Annaclone v Drumgath; South Down U16 FL Division Three (nine-a-side), (7.30pm): An Riocht v Eire Og, Mitchel’s v St John Bosco. Friday, July 8, ACFL Division One (7.30pm): Glenn v Saval, Kilcoo v Longstone, Ballyholland v Mayobridge; ACFL Division Two, (7.30pm): Tullylish v St John’s, Annaclone v Carryduff, Clann na Banna v An Riocht, Loughinisland v Darragh Cross; ACFL Division Three, (7.30pm): Teconnaught v Drumaness, St John Bosco v Dromara, Atticall v Kilclief; ACFL Division Four, (7.30pm): Aghaderg v Ardglass, Aughlisnafin v St Paul’s, Mitchels v Dundrum, Bright v St Michael’s. Saturday July 9, ACHL Division Two (5pm): Ballela v Bredagh; East Down MFL Section B (11-a-side), (4pm): Kilclief v Ardglass. Sunday, July 10, ACPRFL Division Two, (2pm): Liatroim v Carryduff, Downpatrick v An Riocht Monday, July 11, ACFL Division Four (7.30pm): Dundrum v Aughlisnafin. Tonight, SFL, (7.30pm): St John Bosco v Castlewellan, Bredagh v St Gall’s; IFL, (7.30pm): Kilcoo v Saul. Tomorrow, U12 FL East, (7pm): Teconnaught v Saul, Bredagh v Dundrum, Downpatrick v Carryduff; U12 FL Mid, (7pm): Kilcoo v Bryansford, Castlewellan v Clonduff, Annaclone v Ballymartin; U12 FL South, (7pm): Saval v Rostrevor, Warrenpoint v Mayobridge, Bosco v Burren; U17 FL Section A, (7.30pm): Bryansford v Bredagh, Castlewellan v Ballymartin; U17 Section B, (7.30pm): Warrenpoint v Teconnaught, Saval v Kilcoo; U17 Section C, (7.30pm): Mayobridge v Saul, Downpatrick v Dundrum. Thursday, July 7, JFL, (7.30pm): Clonduff v St Michael’s, Teconnaught v Saval, Ballykinlar v Tullylish, Carryduff B v St John’s. Saturday, July 9, SFL, (7pm): Bryansford v Carryduff, St Gall’s v Castlewellan; IFL, (7pm): Loughinisland v Mayobridge, Rostrevor v Ballymartin; JFL, (7pm): Carryduff B v Ballykinlar, St Michael’s v Aughlisnafin, Tullylish v Teconnaught, Saval v Clonduff. Sunday, July 10, U17 FL Section B, (12.30pm): Carryduff B v Loughinisland; U17 FL Section C, (12.30pm): Tullylish v Mayobridge Saul v Burren B, Downpatrick v Bredagh B.
Tuesday July 5, MFL Division Two, (7.30pm): Patrick Emmet’s v Inniskeen (J O’Rourke), Donaghmoyne v Na Mullai Sarsfield’s (C Ward), Castleblayney v Clones (D Boylan), Emyvale v Carrickmacross (A Mullen), Killanny v Clann na Gael (J Sherry); MFL Division Three, (7.30pm): Sean McDermott’s v Doohamlet (D Connolly), Rockcorry v Cremartin (A Gallagher), Latton v Tyholland (H Leonard); Platinum Tanks RFL Division Two, (8pm): Blackhill v Tyholland (C Mulligan). Wednesday July 6, Platinum Tanks RFL Division 1A, (8pm): Magheracloone v Latton (P Caulfield), Scotstown v Monaghan Harps (B Grimley), Truagh v Clontibret (S Hagan); Platinum Tanks RFL Division Two, (8pm): Sean McDermott’s v Drumhowan (H McKenna). Thursday July 7, Senior Hill Foods SHL, (8pm): Truagh v Clontribet (J O’Rourke), Carrickmacross v Craobh Rua (J McAndrew), Castleblayney v Monaghan Harps (P Boylan). Friday July 8, Universal Graphics JFC Round 1B (8pm): Aghabog v Oram (D Hurson); U21 FL Division One, (7.30pm): Scotstown v Emyvale (J Sherry), Truagh v Magheracloone (D Connolly), Aughnamullen v Monaghan Harps (R Malone), Latton v Carrickmacross (N Finnegan). Saturday July 9, Co Monaghan Credit Unions SFL, (3pm): Latton v Truagh (S Hagan) Sunday July 10, McElvaney’s Waste And Recycling IFC preliminary round, (5.45pm): Corduff v Donaghmoyne (D Lynch), (7.30pm): Killanny v Inniskeen (X Coyle); Universal Graphics JFC, (3.30pm): Toome v Killeevan (D Boylan); Co Monaghan Credit Unions SFL, (12.30pm): Monaghan Harps v Carrickmacross (D Hurson), Scotstown v Doohamlet (C Mulligan), Clontribret v Ballybay (M McNally), Castleblayney v Magheracloone (N McKenna); Monaghan Electrical IFL, (12.30pm): Aughnamullen v Rockcorry (F Finnegan), Currin v Cremartin (H McKenna), Emyvale v Tyholland (G Treanor); JFL, (12.30pm): Clones v Eire Og (D Helferty); Platinum Tanks RFL Division Three, (12.30pm): Oram v Aghabog (S Ward), Killanny v Truagh (M Henry).